The ART BIKERS is a mobile community arts program of the 4Cs Foundation that builds community by making art with children, families and residents in neighbourhoods throughout Halifax, NS. 4Cs Foundation is seeking an exceptional individual to lead the 5th summer of our Art Bikers program in Halifax, NS. This opportunity is for someone who is passionate about using art as a tool for community development and is an experienced program coordinator. The position requires you to lead a team of young community artists in collaborating with the general public (primarily children/youth and their families) in arts-based activities to inspire and create community artworks. There is the possibility of a renewal of this position in 2012 and beyond, with potential on-going involvement with the 4Cs Foundation. •You are passionate about working for change at a community level. •You value collaborative art-making as a tool for bringing people together, to give voice, address issues, share stories and celebrate. •You can foster creative expression in others by facilitating their learning and engagement. •You have solid experience with program coordination and staff supervision. •You are dependable, reliable, a strong communicator, and a respectful, inclusive leader. Working closely with the 4Cs Executive Director initially, you will help to hire staff and plan the summer program while connecting with established community partners. You will become the key contact and have responsibility for the day-to-day delivery of the Art Bikers program working independently and reporting to the ED. Coordination duties include scheduling (and adjusting schedule for weather) program days, purchasing materials and supplies, ensuring trailers are equipped and organized, tracking and reporting worked hours, communicating with the general public and media, ensuring the safety of the team and participants following 4Cs policies, engaging community organizations, partners and members in activities, problem solving, maintaining an operational budget, updating the Art Bikers blog and other social media, evaluating staff, and writing a final report on the program. Salary: $18.00 to $22.00/hour depending on experience. Flexibility of schedule and a commitment to be available for the entire length of the program is required. Art Bikers generally work 7 hours per day including evening and weekend hours, for a total of 35 hours per week. Some overtime may be required. Scheduling can be affected by weather and special requirements. •Community-based arts facilitation training (Arts Engage Training Intensive or Creative Arts Facilitation for Transformational Learning, Jumblies Art4All Essentials, Community Arts Practice Certificate, York University, for example) and at least one year work experience/project coordination experience, preferably including supervision of staff. • Minimum of three years employment in the non-profit sector with coordination responsibilities (including staff or volunteer supervision) and knowledge of community arts practice, community development, adult education principles. •Arts and creative skills (any discipline such a visual arts, theatre, dance, etc.) preferably across disciplines. •Ability to communicate these skills and foster creative participation and transfer knowledge to others in a respectful manner, guiding activities in an empowering way. •Work and communicate at all times in a manner that reflects the values of inclusion, diversity, and equality across ages, abilities, gender, incomes, culture and race. •Creative, innovative and positive thinking. Please include a cover letter outlining how your expereince and education meets the criteria of the job. Three references are required with your letter of application. Two of these must be able to speak directly to your experience working in the community and with program coordination. No phone calls please. We appreciate your interest in applying, however only those to be interviewed will be contacted. •To stimulate interest and participation in community arts in Halifax Regional Municipality. 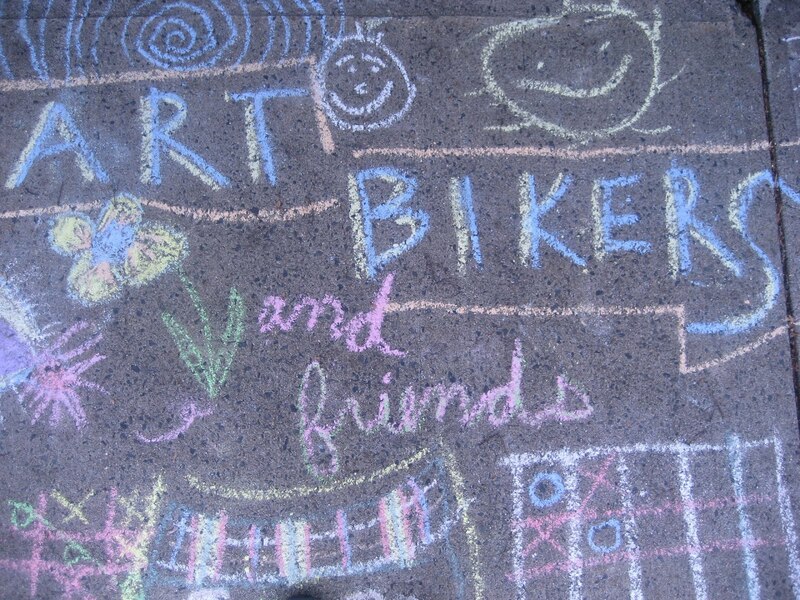 What Is the Art Bikers Program?